The Raimundo classical acoustic guitar is a series of guitars produced by the Classical Guitar Centre, LTD in Birmingham, England. These guitars are highly sought after as a gold standard in classical acoustic guitars due to their quality construction. Fortunately, there are many models of these guitars to fit almost any budget. Learning about the different models will help you make the right purchase. There are many guitars produced by the Classical Guitar Centre in their Raimundo series. The website separates these by price -- expensive and less expensive. These Raimundo classical acoustic guitars are toward the higher end of the price scale. All of these guitars come with a luxury case to carry your guitar to class, practice or a gig. Raimundo 148 spruce: This guitar is spruce on top with solid Indian rosewood on the sides and back. The fingerboard is made of ebony. The neck also has an ebony reinforcement strip, as well as high-quality machine heads. Raimundo 148 cedar: T likehis model is a lot like the spruce, but it is made out of cedar incstead. This creates a different quality sound with greater depth. Raimundo 150 cedar: This guitar boasts a cedar top and solid Indian rosewood sides and back. The larger body size, coupled with the cedar top, create a very deep sound with a lot of sustain and volume, as well as excellent tone. The guitar also has an ebony reinforcement strip. Manuel Raimundo Especial Brazilian/spruce: This is the spruce model in Raimundo's Brazilian series. While the top is solid spruce, the back and sides are made of solid Brazilian rosewood which is both attractive and provides better projection from the sound hole. This guitar further boasts long sustain and a sweeter tone. Raimundo 155 spruce: This guitar includes many of the features of other spruce guitars from Raimundo, but it's a larger size. This creates louder volume and greater sustain, as well as a sweeter tone. Not everyone can afford the high-end guitars offered by Classical Guitar Center. Fortunately, there a number of lower-priced Raimundos for players shopping on a budget. Raimundo 138: The 138 in the Raimundo series is made with a solid cedar top and solid walnut on the back and sides. This creates a warm tone with a great deal of volume. Raimundo 104: A top of solid cedar, bubinga on the back and sides, and a rosewood fret board are the primary components of the 104-M. This is the lowest-priced model of Raimundo, and it's designed for beginners. 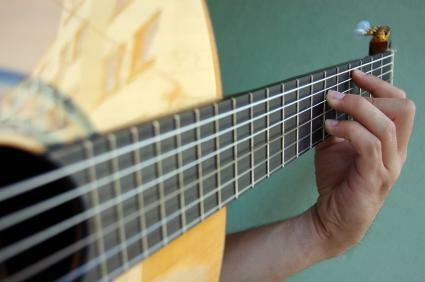 The instrument is available with a matte or gloss finish and was named the best value for a classical guitar in its price range by the UK Music Industries Association. Raimundo 112: This is the most popular model sold by the Classical Guitar Centre. The top is made of Oregon wood with mahogany back and sides and a rosewood fret board. Another entry-level model, this guitar is prized for how easy it is to play. Raimundo 123: Another low-end, entry-level guitar, the 123 has a cedar top, mahogany back and sides, and a rosewood fingerboard. It is largely distinguished by the fact that it has more decorative flourishes around the sound hole than other less-expensive guitars in the Raimundo line. While you could hunt around for a Raimundo, your chances of finding one are slim. These are limited-run guitars that are handmade by the master luthiers of the Classical Guitar Center. They can be purchased either through their website or by popping into their shop in the United Kingdom. All guitars will be shipped with no additional charge.